CAN I HAVE AN ABOVE GROUND GREASE TRAP TANK INSTEAD OF AN IN-GROUND GREASE TRAP? Answer: You can, but if the kitchen floor is lower then the top of the Grease Trap then in this case you will need a pump system to push the water into the top of the grease trap. Pump systems are not aproved in every State. 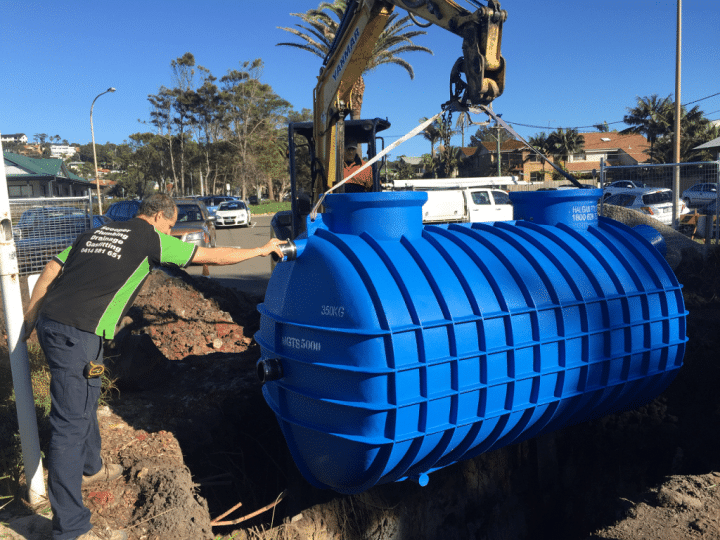 The pumps are costly and sometimes the installation costs are very similar between an above ground and an in-ground grease trap system. If gravity fall is not obtainable on a below ground system then Risers can be an option in some councils.